A free event for all the family, bring a picnic lunch or visit one of the delicious food trucks. We've got a lot of car parking, but traffic can be a real problem at events this big. With so many people expected to come through on the day we'd recommend looking at alternative transport and parking options. We're 6 mins walk from Henderson Train Station and the main bus stops, and there's plenty of other spots nearby for parking. 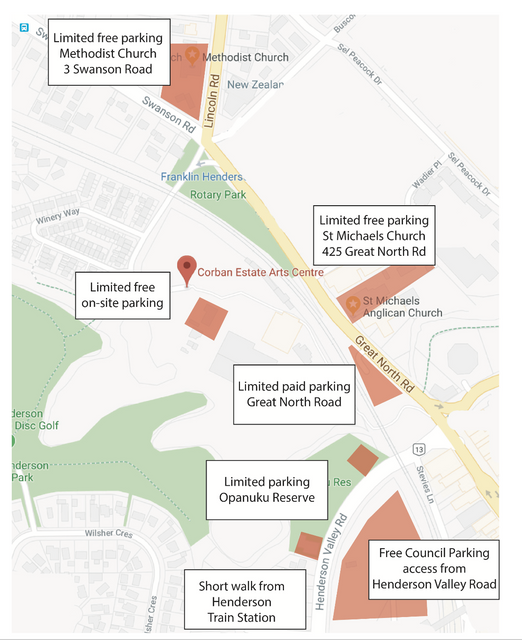 Here's a map with some of our favourites... Visit https://at.govt.nz/ to find out the best public transport options from your neighbourhood to ours. NUKU is a new multimedia series by exhibiting artist Qiane Matata-Sipu. Come along to see a trailer for the first ten profiles in the series, which will profile 100 Indigenous women. After the trailer, Qiane will give a talk about the project and her work.